Growing up, on occasion mum used to make jacket potatoes for dinner stuffed with bacon-onion bits and a good helping of KFC's coleslaw. Of cause at the time it was absolutely delicious and a quick easy meal for a hungry family, but something I (and mum) definitely wouldn't consider eating today. Despite my dislikable taste to the more traditional Aussie jacket potatoes I still adore baked potatoes. Check out 'My Favourite Baked Sweet Potato' or 'Tex- Mex Lentils with Baked Sweet Potato Wedges' for some idea's. When I heard about this hip eatery I knew it would be right up my alley! I enjoyed the Karimi Potato (1 of 2 vegan options); perfectly cooked white potato (think super fluffy, melt in your mouth material) stuffed/ topped with nutritional yeast "butter", pickled carrot salad, hummus, spiced lentils and a sesame sauce. Yes absouelty delicious and left me feeling very keen to try there other vegan option. I'd also liked to mention that while I was enjoying every bite of my potato I also noticed that other dinners left their potato skins. I know, I was like WHAT!! That's the best bit, not only because of the slightly chard epicness, but where most of the nutrients lie. So people eat your potato skins! 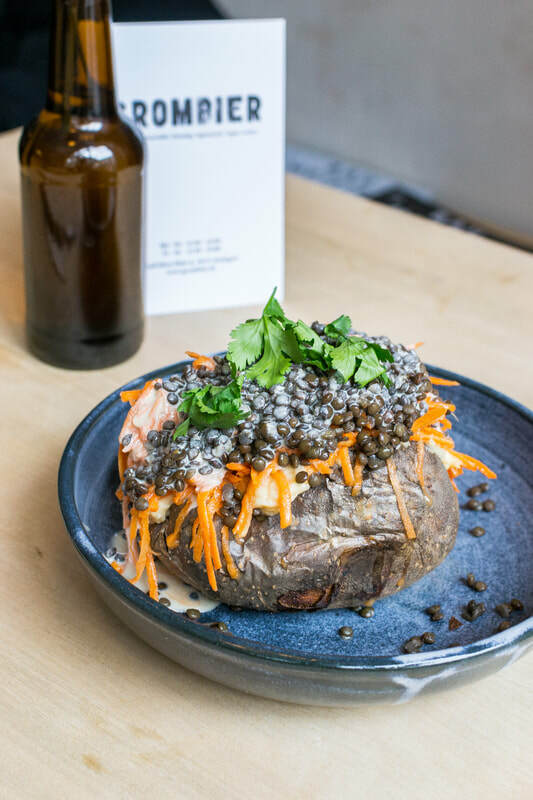 German company Dean & David is a restaurant chain focusing on healthy, fresh, light food that is aimed to preserve as much vitamins and minerals within their dishes. Their meat, veggie & vegan menu includes a welcome list of smoothies, fresh pressed juices, sandwiches, wraps, salad, curries and soups with inspiration derived from America, Australia and Southeast Asia. 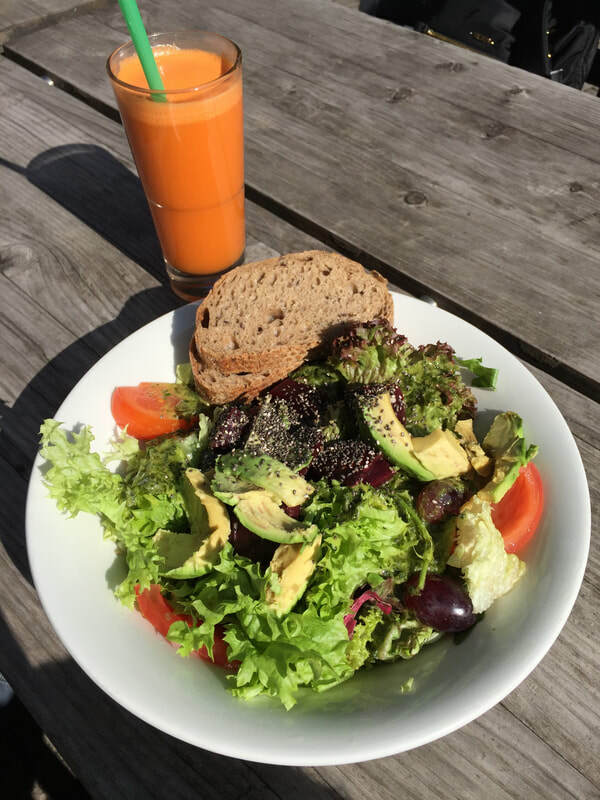 Some of my menu favourites include the Avocado Superfood Salad and Yellow Curry with Tofu, in which I always pair with a juice or smoothie. I always turn to Dean & David's when I'm low on time as I know it's a nourishing, energising option that's affordable and doesn't leave me feeling sluggish. I really applaud Lala Healthy Livin for being one of the first to introduce the 'smoothie bowl cuisine' to the German people. 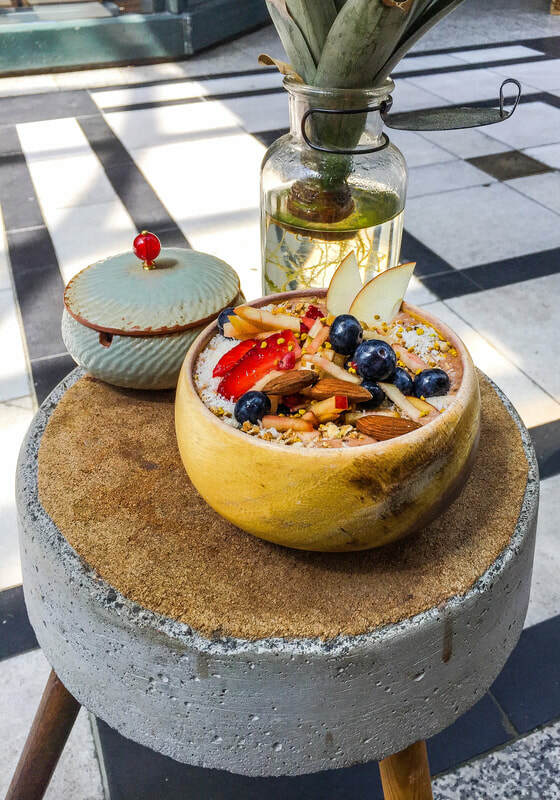 Shortly after Lala opened their quirky store I sampled what they had to offer and to be honest, wasn't too blown away as I've had my fair share of incredible smoothie bowls in Australia. Pictured, I have their Black Bomb with a simple yet delicious blend of banana, almond milk, cacao and dates. The toppings included crunchy granola, coconut, almonds, bee pollen, blueberries, apple and strawberries. Yum! This photo doesn't do Reiskorn justice, but this restaurant is my favourite place to eat in the whole of Stuttgart! I've eaten here too many times to count and my number 1 option to take visiting relatives and friends. Reiskorn's menu is based around the seasons and every dish despite being vegan, vegetarian or carnivore showcases vegetables at their peak. Their meals are incredibly creative and I would say a cross between typical german cuisine and Asian/ Middle Eastern fusion. They generally have 2 plant-based starter and main options with 1-2 desserts. The atmosphere of the restaurant is very communal with large shared tables and 2 seater love seats around the perimeter. The lighting tends to be dim, hence why it's difficult to take a good meal shot, but creates a very cool vibe throughout. For Reiskorn's entire menu, head to their website as they're very diligent of keeping their seasonal menu up to date...Trust me I know! I'm always very excited to see what each season brings. If your after Brunch then Claus is your answer. 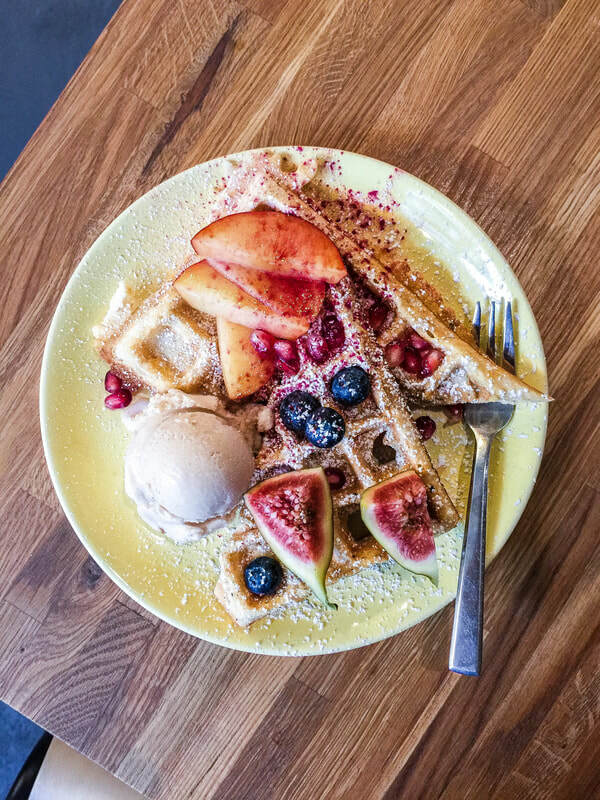 Their tasty and Insta worthy all day brunch menu includes favourites like avo on toast, smoothie bowls, muesli, bircher and waffles with plenty of vegan options. The overall decor of the cafe is very modern, something thats hard to come by in Stuttgart and reminds me of Melbourne. Finally! Claus is one of my favourites as they serve delicious food at a reasonable price point. Quite often when a burger restaurant (especially a chain restaurant) offer vegan burgers there are generally only 1 option available. However, the people behind Hans Im Glück know their stuff as they serve not 1, but 4 vegan burgers! Hans Im Glück burgers are simply the best, and that's coming from someone who's number one treat food is burgers. Their clever and very flavour options are on point with patties that resembles and taste like meat, it's crazy! 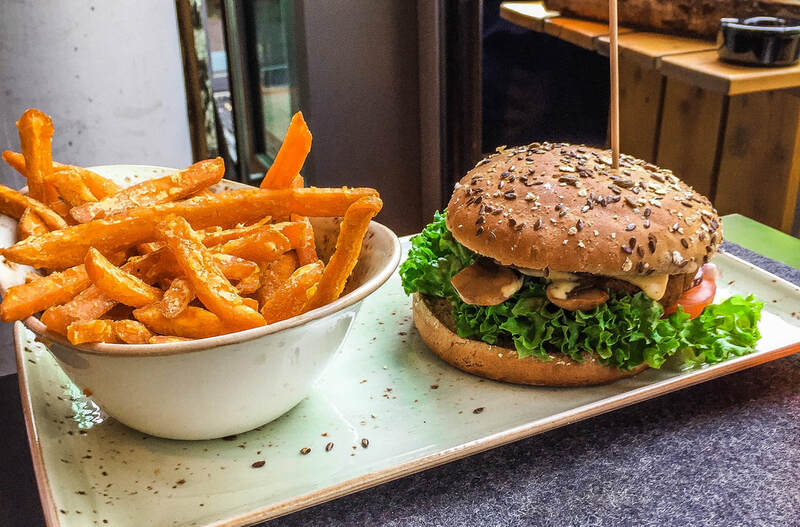 My two go-to options is either the Kutscher or Angerling burger on a wholemeal seeded bun and paired with sweet potato fries that are "to die for".